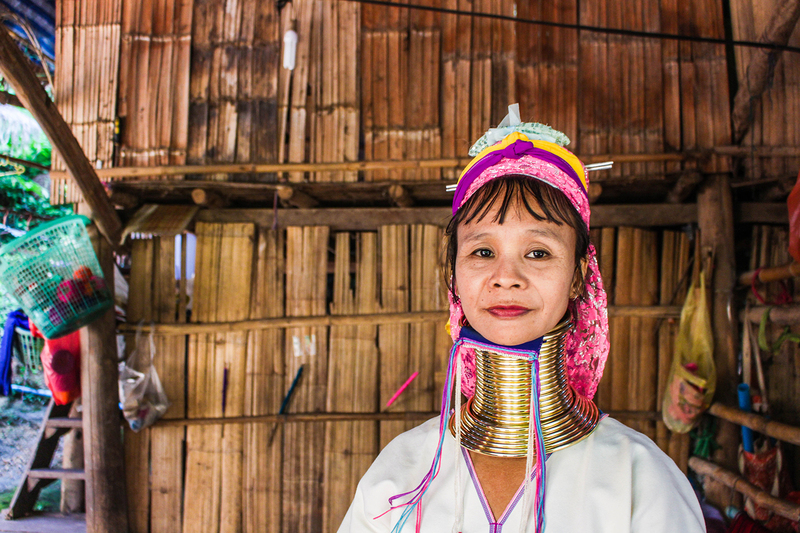 Meet the Karen ‘long-neck’ women of Thailand. 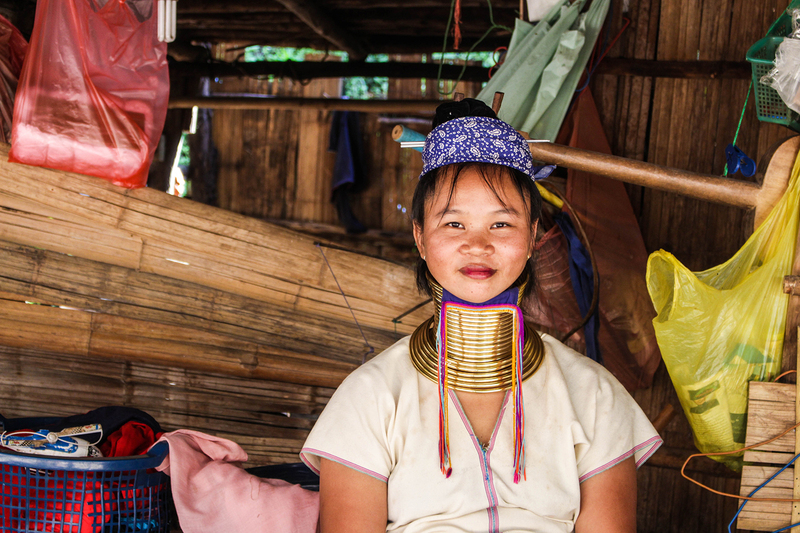 I wrote below about my visit to a long-neck village, touching on the historical, cultural and ethical issues surrounding these tribes. 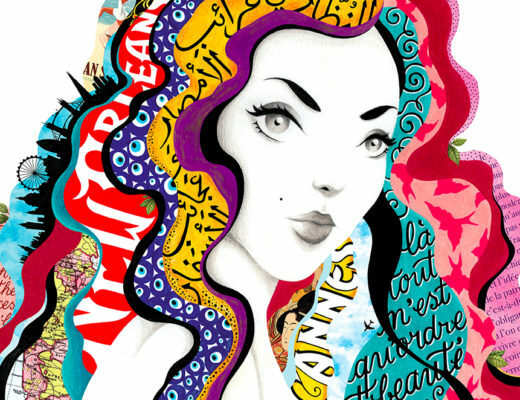 From the many photos I took, I was inspired to draw portraits of the women. 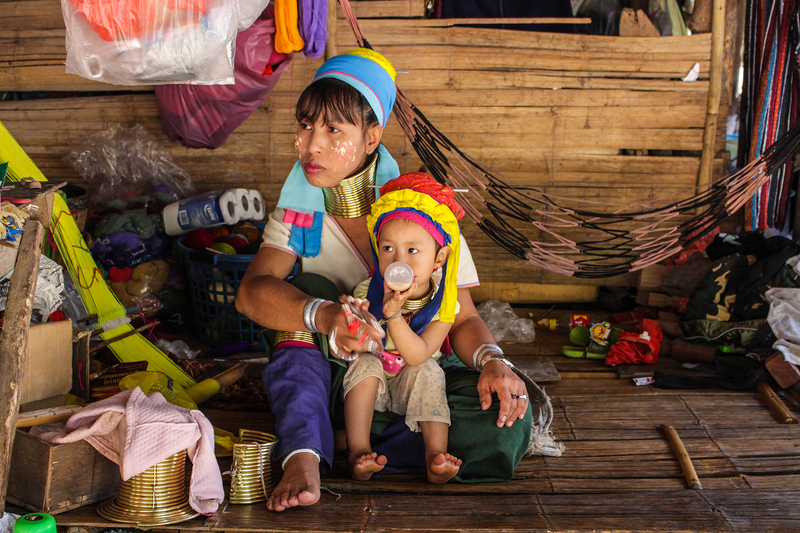 The Kayans are a Tibeto-Burman ethnic minority from Myanmar, a sub-group of the Karen people. 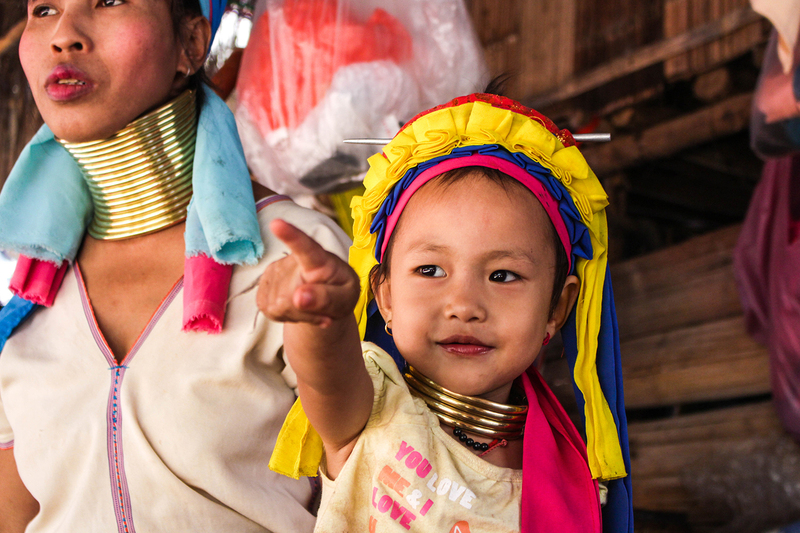 In the late 80s, due to a conflict with the military regime of Myanmar, some Kayan tribes fled to Thailand, escaping war and violence. 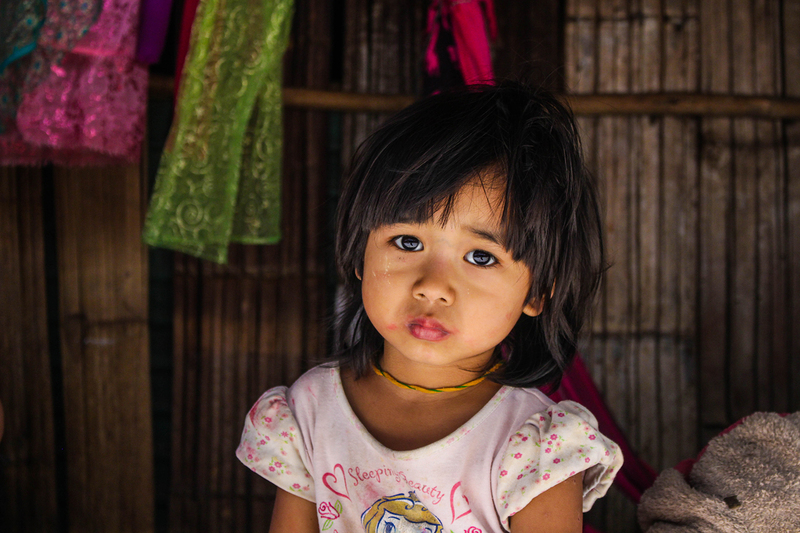 The Thai government granted them a temporary stay under ‘conflict refugee’ status. 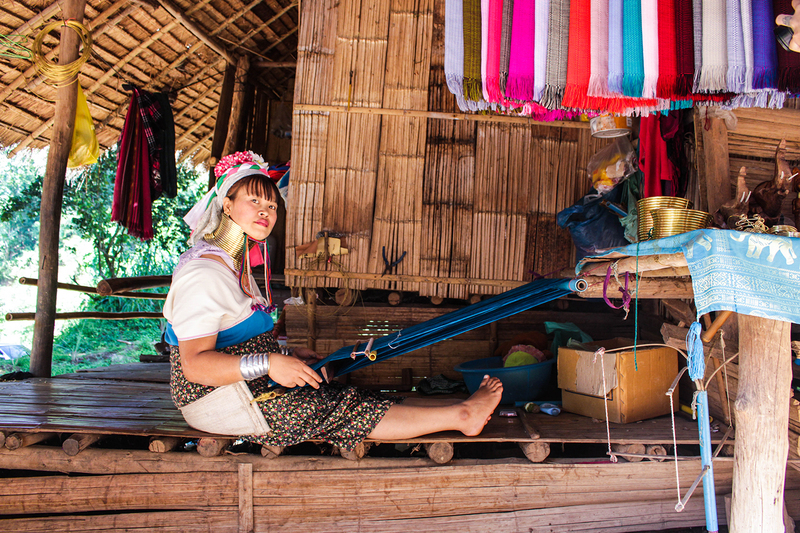 Now, around 600 Kayan people live in guarded villages on the northern Thai border. 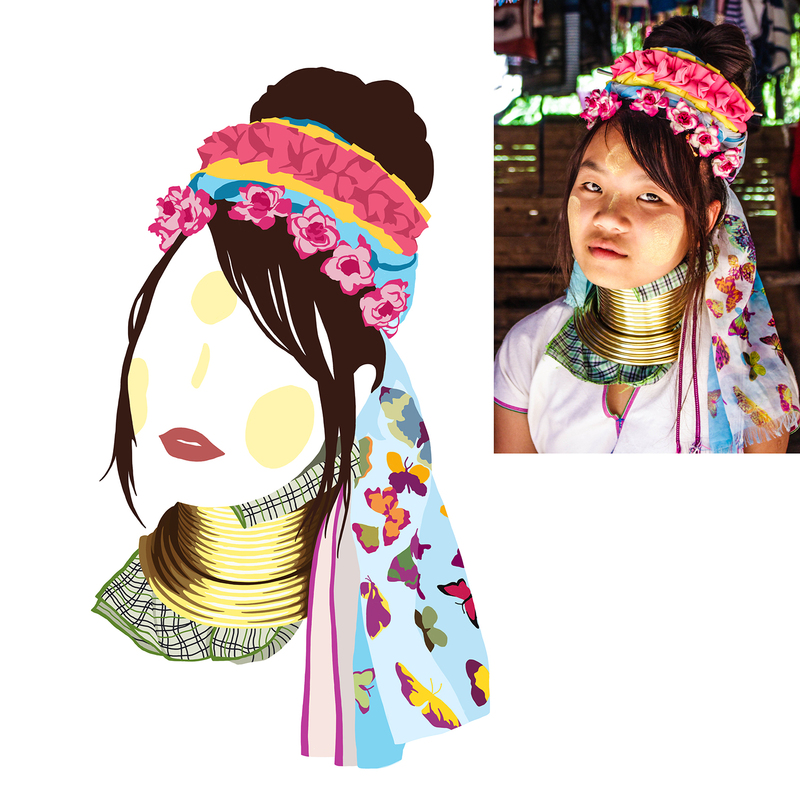 The Kayans, more specifically the Kayan Lahwi (or Padaung) sub-group, are famous for their women who wear golden rings around their necks, popularly called ‘long-neck’ women. 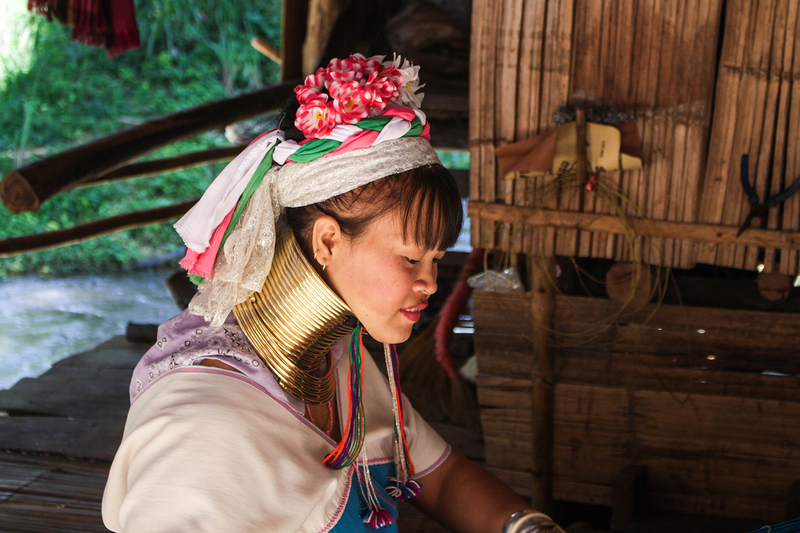 This ‘exotic’ tradition inspired Thai officials to create tourism villages in the north of Thailand. 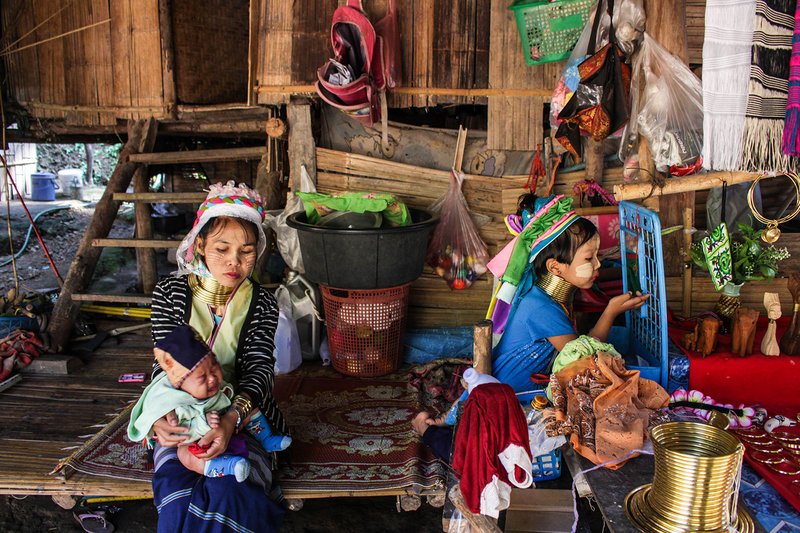 Some Padaung even moved to these artificial hill tribe residencies with work permits, to make a living off of tourism. 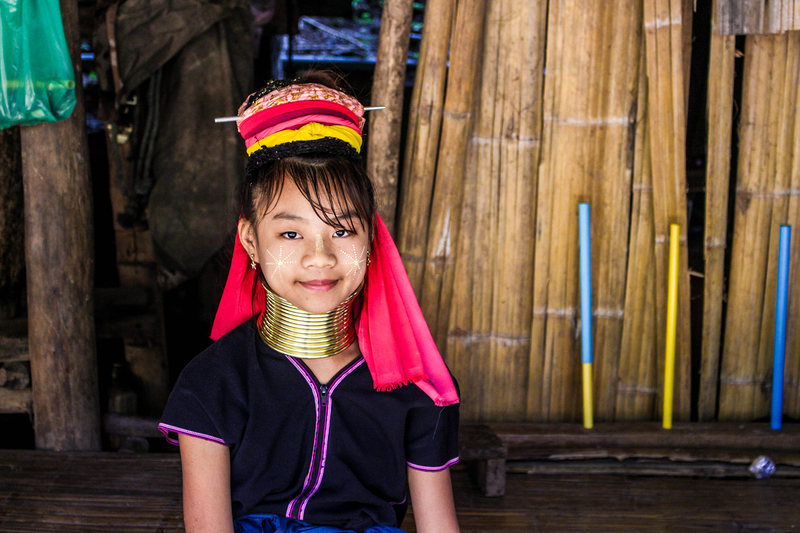 Kayan long-neck girls start wearing the brass coils at the age of 5, starting with 4 or 5 turns. Each year, the coil is replaced with a longer one, and more turns are added as they acclimate to the increased weight. For an adult woman, the rings can weigh up to 11 kg/25 lbs. 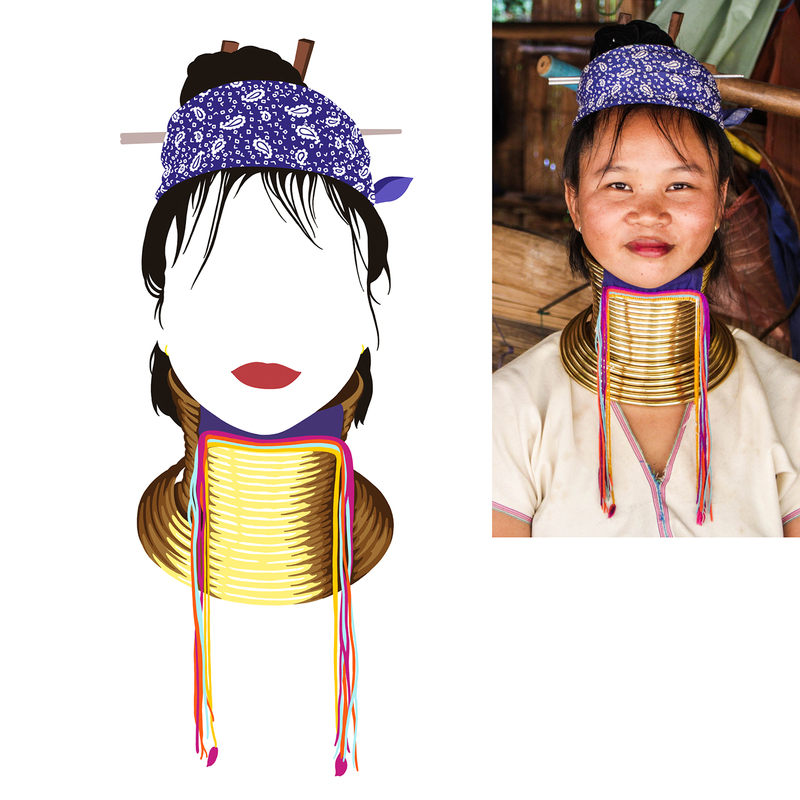 Contrary to popular belief, the rings don’t actually lengthen the neck itself. The weight of the brass pushes the collar bone and shoulders down, compressing the rib cage. The neck itself is not lengthened, the appearance of a longer neck is created by the deformation of the clavicle. The women can therefore remove the coils without their necks snapping. They very rarely do, however, as the coiling and uncoiling process is a long one. The coil is usually only removed to be replaced by a new or longer coil. Additionally, the coil feels like an integral part of the body after ten or more years of continuous wear. The origin of this tradition is still unknown. 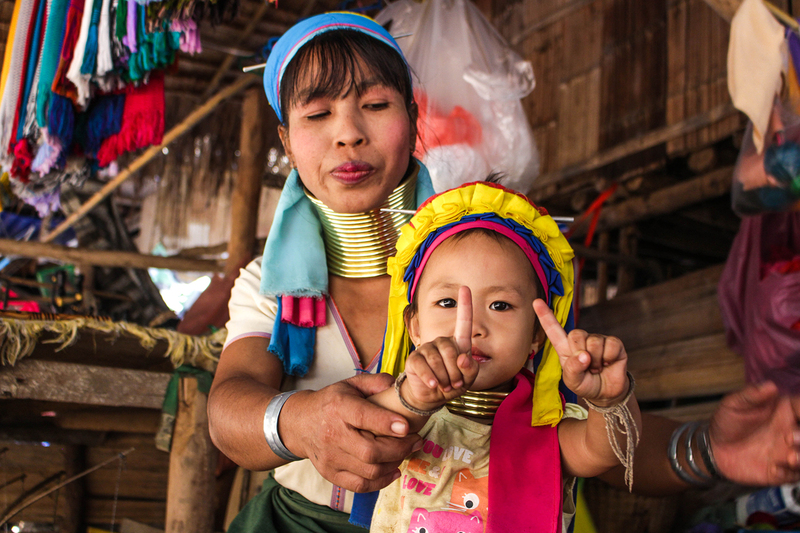 An ancient legend claims the rings protected villagers from tiger attacks, since the cats attack victims at the neck. Anthropologists have hypothesized that the rings protected women from becoming slaves by making them less attractive to other tribes. Another theory states quite the opposite – that the coils originate from the desire to look more attractive by exaggerating sexual dimorphism, as women have more slender necks than men. 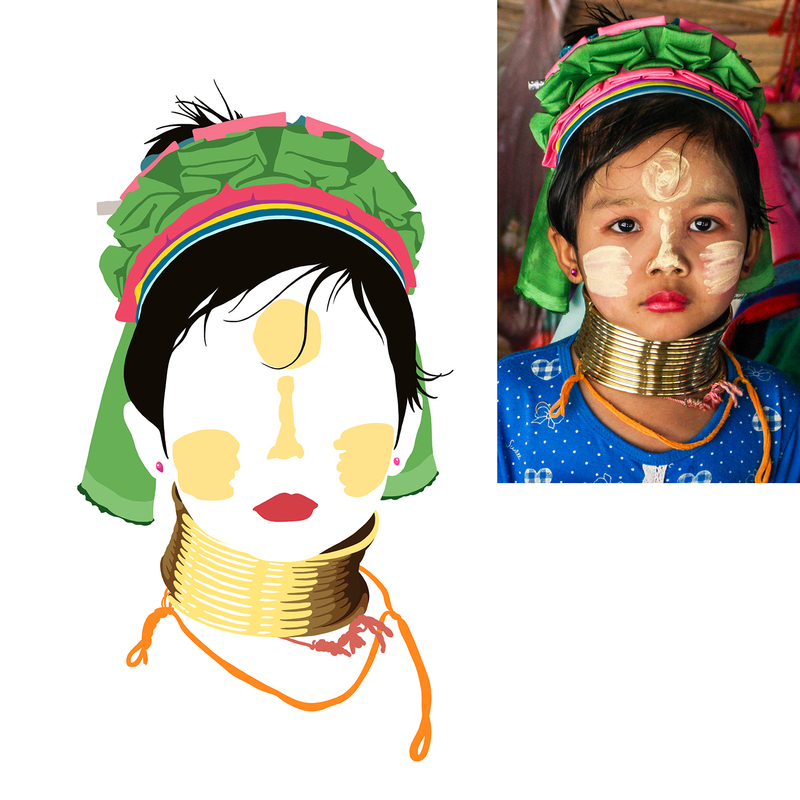 It has also been suggested that the coils give the women resemblance to a dragon, an important figure in Kayan folklore. 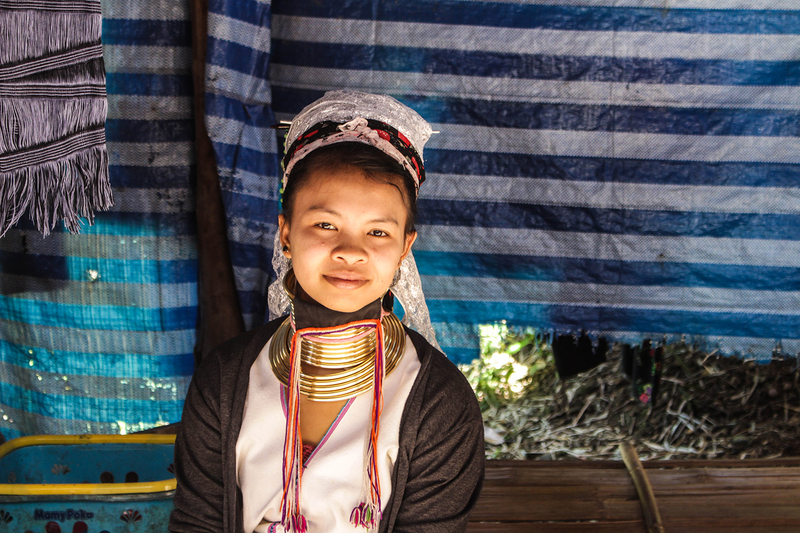 The Kayans’ traditional religion, called Kan Khwan, includes the belief that the Kayan people are the result of a union between a female dragon and a male human/angel hybrid. ‘This is not a village’ was my first thought. It looked more like a market than a village. Everything seemed staged. 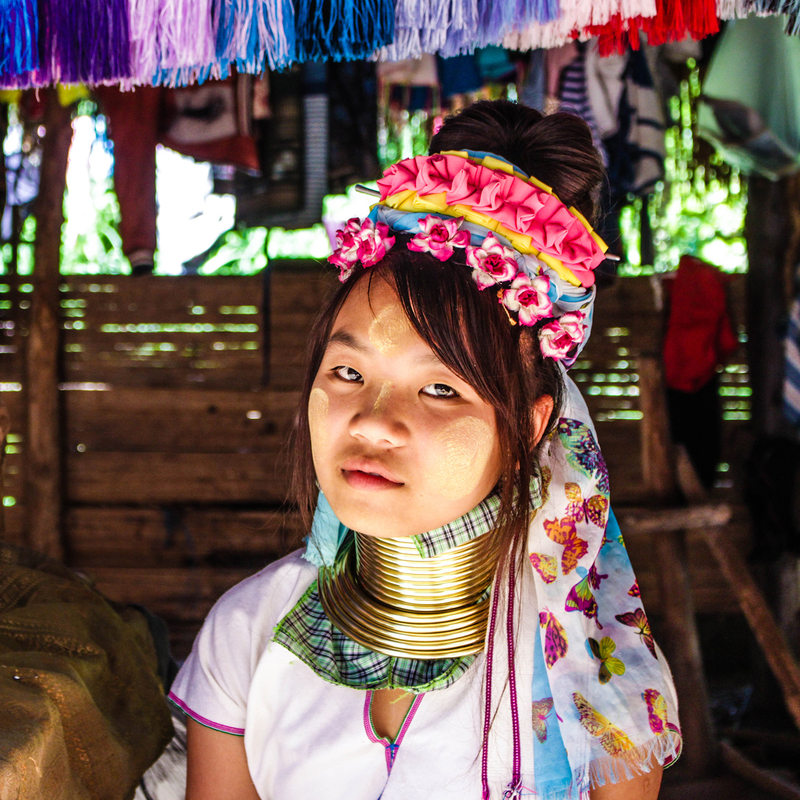 On either side of a walking strip, the long-neck women sit at separate stalls and sell trinkets, clothes and jewellery. They are all well-dressed and ready to be photographed. One woman was dressing up her daughters to pose for pictures, but the little ones clearly didn’t want to be there. One of the little girls had smeared the lipstick her mother had put on her. As I took their pictures, I felt mixed feelings. As I watched tourists taking selfies with them, I felt even more uneasy. This doesn’t feel right. 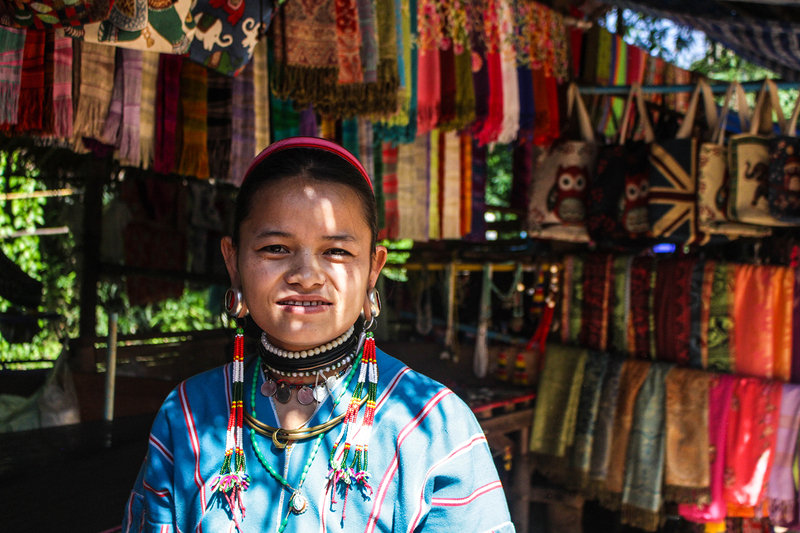 When I later did some research, I learned that these hill tribe villages were artificially constructed by the Thai government, when they saw the Kayan people arriving as refugees and recognised their exotic tradition as a business opportunity for tourism. 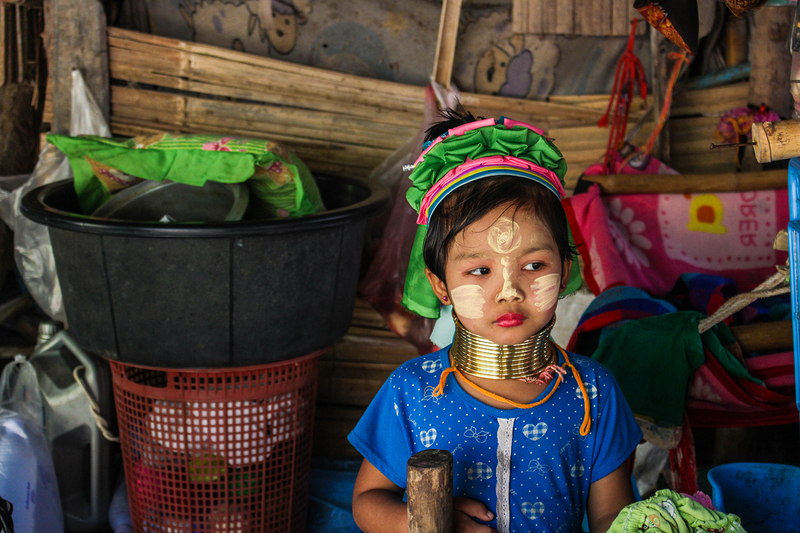 I learned that Thai authorities don’t allow the Kayan people to leave their villages, claiming they are economic migrants and not real refugees. Until very recently they weren’t even allowed to go to school or doctors. 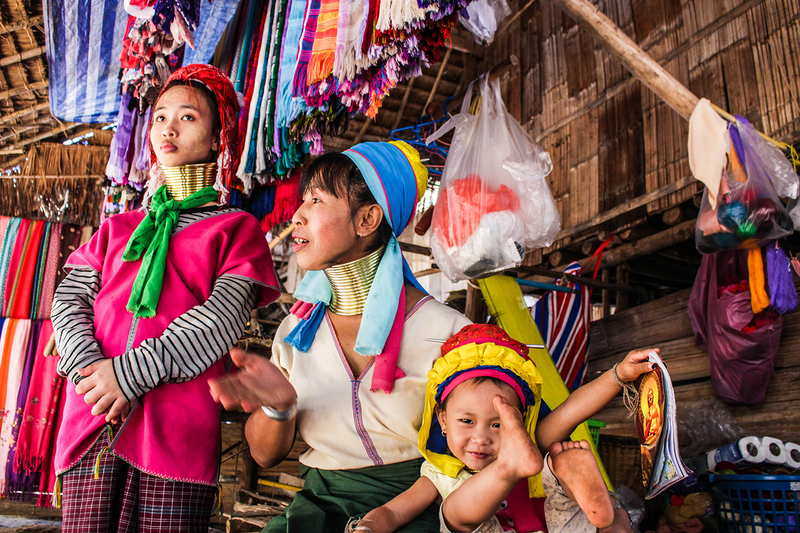 I learned that the entry fees to these villages are rarely given to the Kayan people, and are often taken by the third party tour companies. 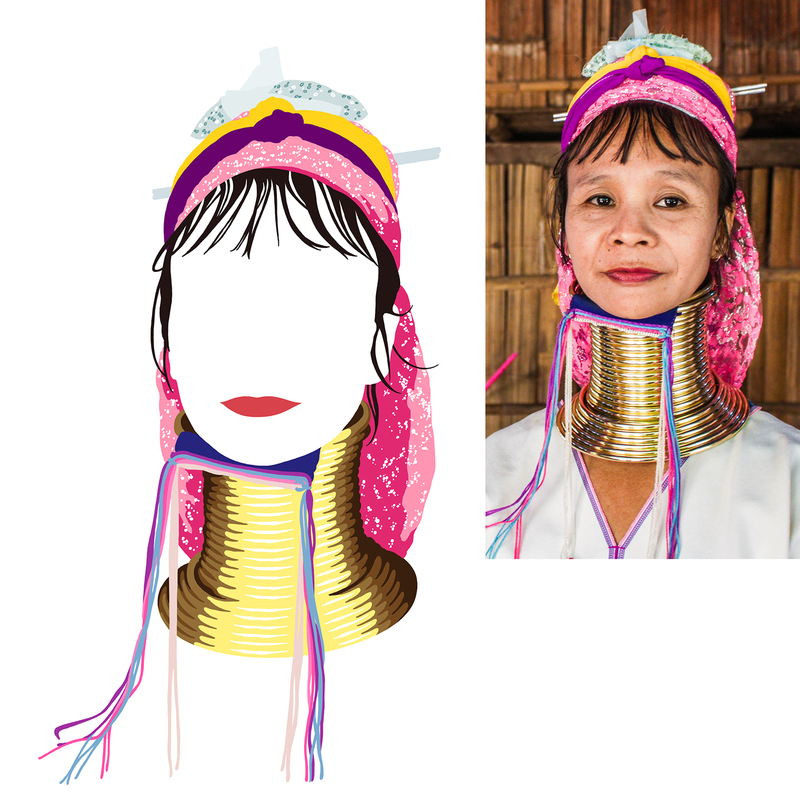 Instead, long-neck women make their living by selling their crafts and clothes, and through photo-ops. 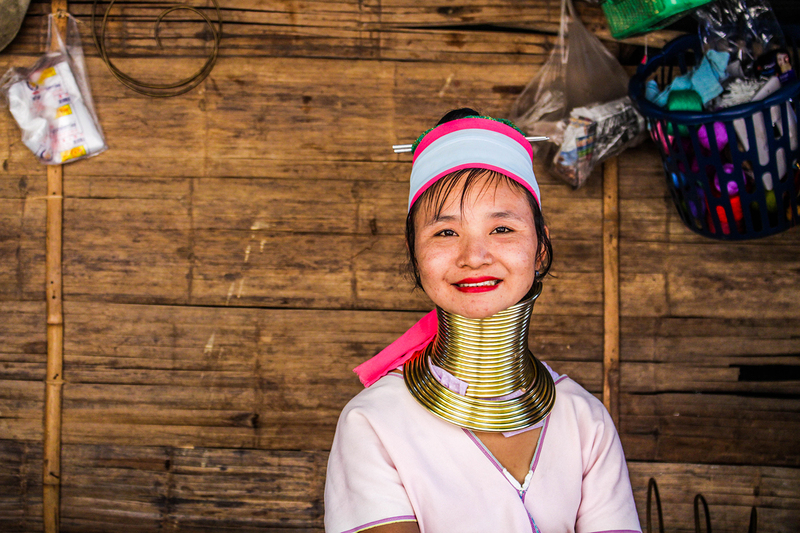 The Thai government pays the villagers an allowance for food and toiletries, and the long-neck women receive an extra salary for posing for pictures. The village owners decrease their wages if they discuss their struggles with visitors, or if they are seen using anything modern, like cell-phones or computers. Oh no… did I do something terribly wrong? Is this a celebration of culture, or exploitation of refugees? Should I not have gone? Did the tour company give them the money? Why didn’t I properly research before going? I donated to the village, does that make it alright? But what if the donation money doesn’t go to them either? I should have known better, I should have researched. This is wrong… so wrong. What do I do now, with all this guilt? I will share. 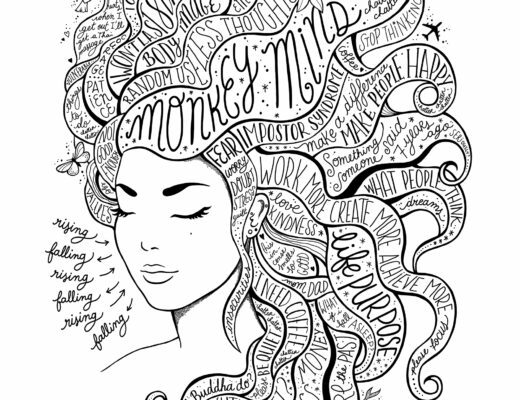 I will make art. I will research. I will tell people about this. 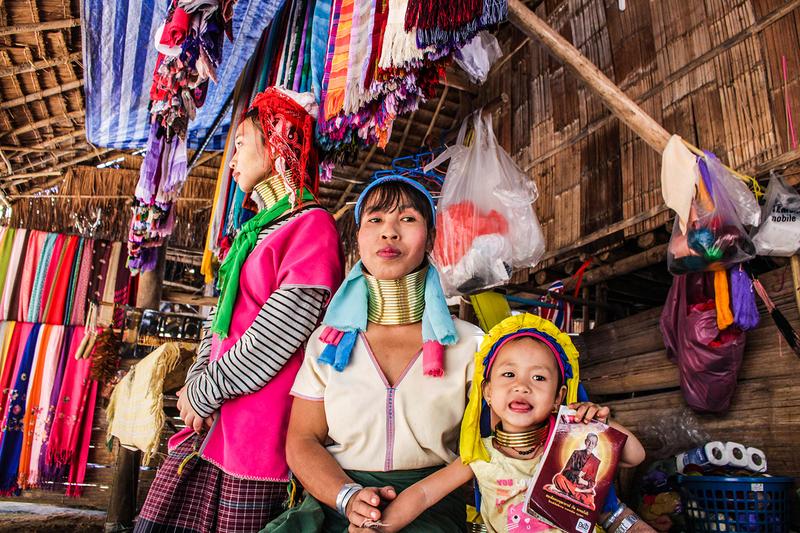 Should you visit long-neck “villages”? 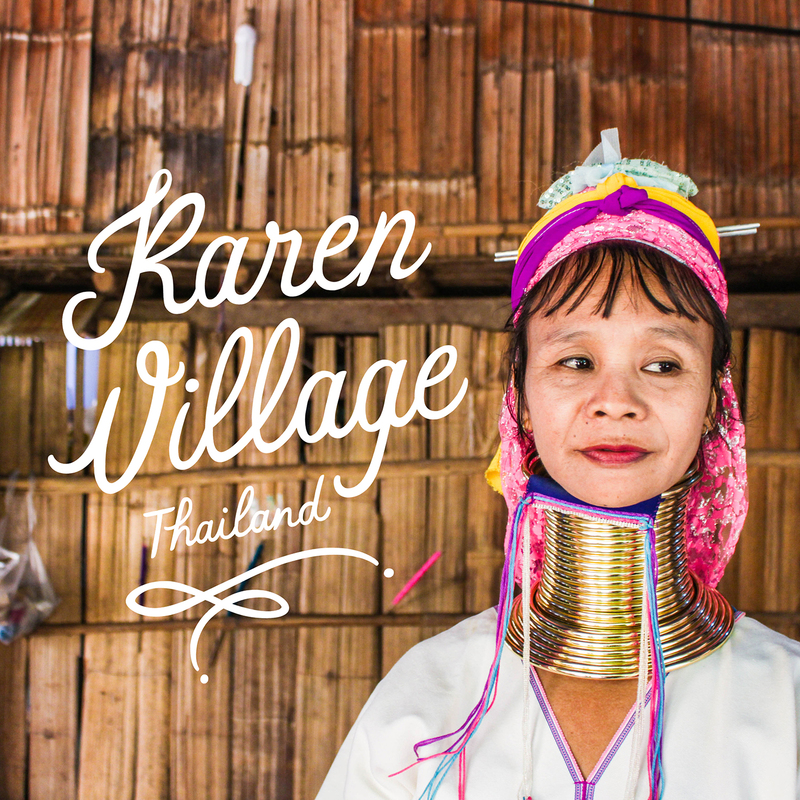 On the one hand, the Karen people in Thailand survive off of tourism. 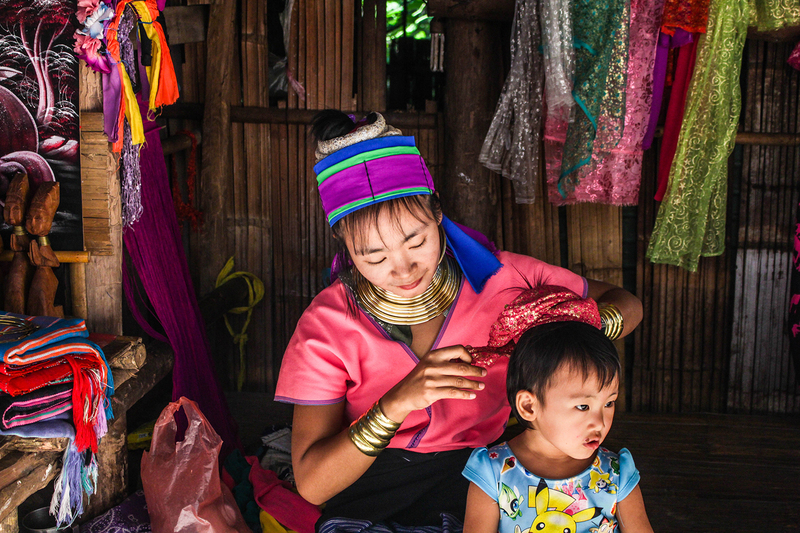 For most of them, it’s their only way of making a living, since their non-resident status limits their employment opportunities in Thailand. So in that sense, visiting them is beneficial for them. That being said, you could try doing some research beforehand, in order to make your visit as ethical as possible. 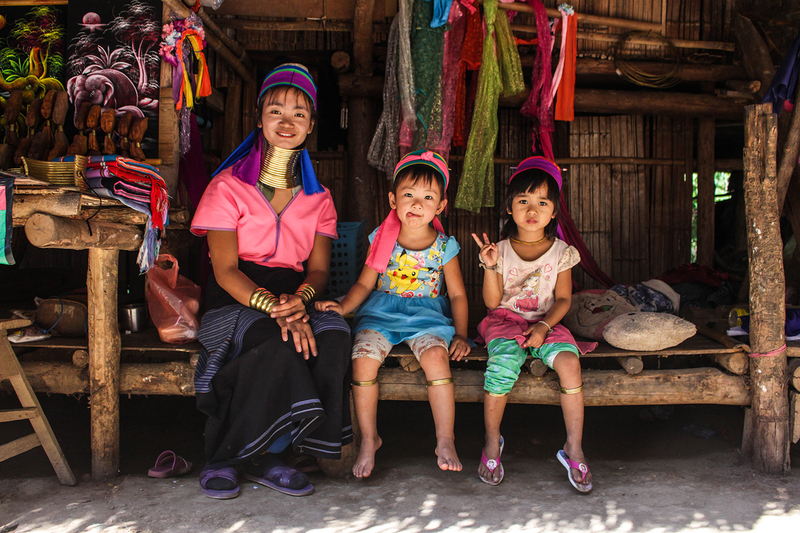 Make sure the tour company you pick is a socially responsible one, that actually pays the village directly and supports its people. 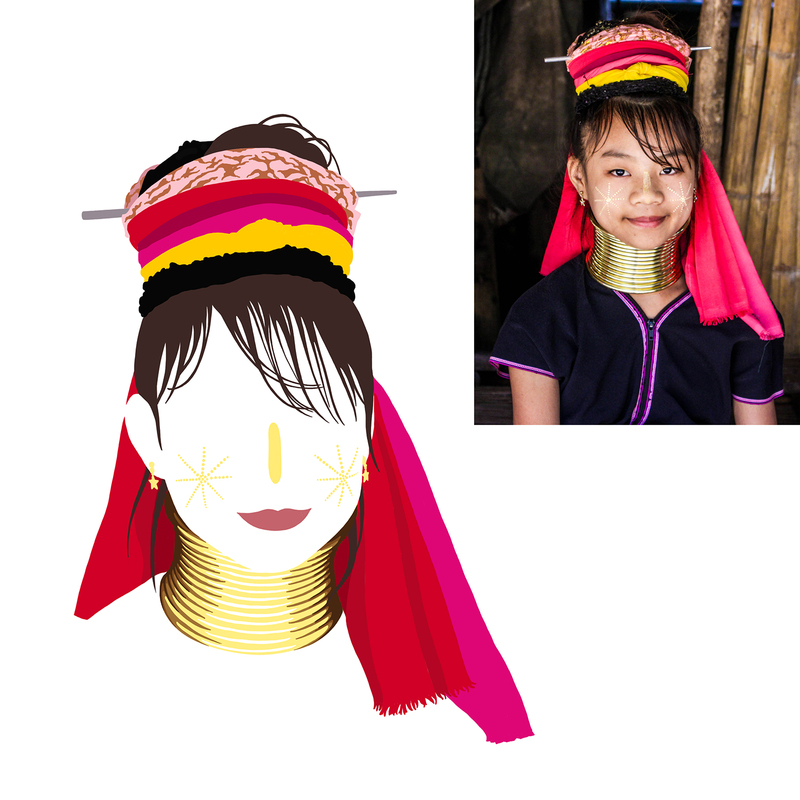 Contribute directly to the village by buying the women’s crafts or making a donation. Learn about the people, their culture, their struggles. Talk to the women and kindly ask their permission to take their pictures before you do – even if they might consider it their “job” to pose for photos. Make them feel that you’re interested in them, in their history. That you’re not just coming to stare at them from a distance and take their picture. Make them feel human. I still have mixed feelings. I still don’t know how I feel about going. 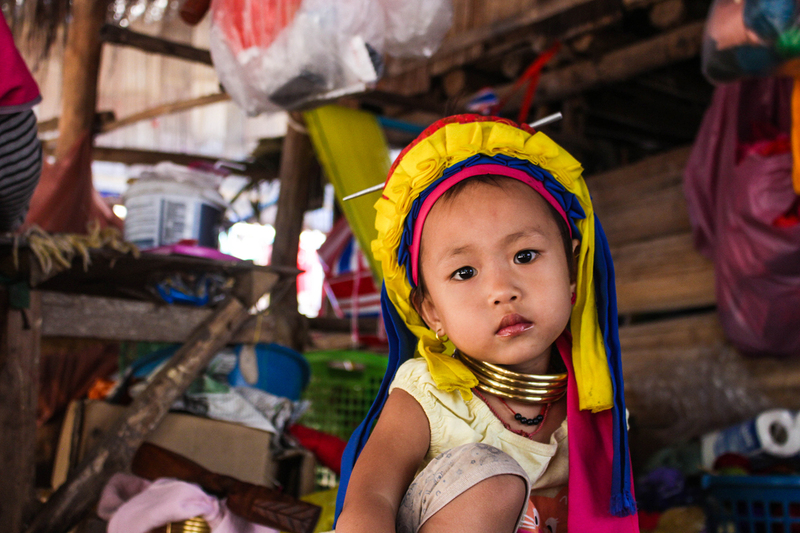 I’m happy I went, because it opened my eyes on the reality of the Kayan people’s lives in Thailand and their struggles. 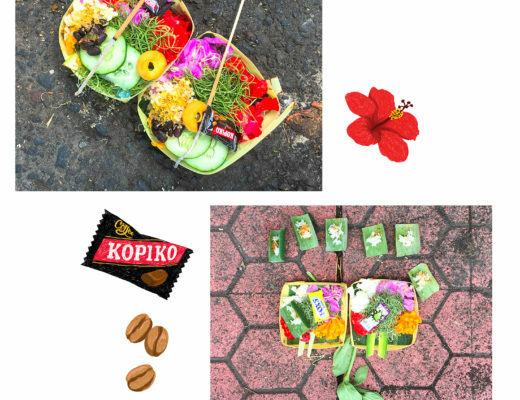 I’m happy I felt uncomfortable, because it made me question my choices and behaviors as a traveler. But I wish I had done proper research before going. I would have done it differently.